One topic that always intruiges me is the aspect of peoples "work flow". There seems to be an incredible amount of variation - what someones says is a very effective and efficient workflow - can be someones else's "hours spent experimenting to achieve the same result as they were doing before". There is a lot to be said for sticking to one method or program and utilising it fully. I have recently been through my own elipical journey - only to arrive back at my starting point. I have tried many programs and apps that would allow me to work seamlessly between work computer, home laptop and ipad and across different systems - Windows and Apple. After trying many I keep coming back to Evernote. I originally tried it. Didn't really get into it. Came back to it at various times. Tried other apps. Came back to it again. My latest arrival back to it made me think - "if I want to do something quickly and have it available across all platforms - this is the one I keep coming back to!" It does notes, audio, checklists, web links, adds files (of any sort) and across all platforms. In fact I am typing this on it now - because I know later I will want to finish it (or add to it ) working on my ipad. In other words - a work flow that works for me. I had mentioned about Evernote in this blog before http://woodbutchersguide.blogspot.com/2011/04/some-older-things-revisited.html but had been going in and out of it at various times. But I have found the more I use it, the more handy I find it. 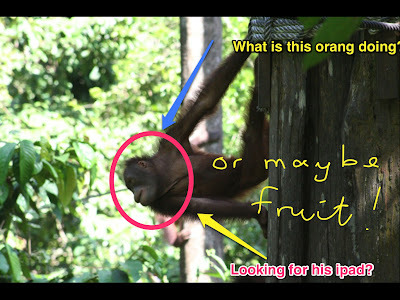 The other program I have found extremely handy on a mac is one called Skitch. This was originally an independent program but got taken over by Evernote. I had also mentioned this one earlier. http://woodbutchersguide.blogspot.com/2011/04/skitch-another-old-one-revisited.html#links. I had used this one extensively doing screen shots for people - making notes or explanations. A very handy and again, very quick (I really don't want to spend a long time getting to learn a program). The exciting news is , that the people from Skitch (or Evernote) have now made an app for the ipad. Free and links in with Evernote. So it enhances your workflow with Evernote. As you can see - you can do most of the things you could do with the full program - shapes, text, arrows or lines, writing and then link it to Evernote or email it. I must admit - I like things that make my time more efficient and this fits the bill. If you haven't given Evernote and Skitch a try, I suggest you do. You may be like me and find they are very handy and useable.